People in Mongolia and in many parts of the world live in yurts, which is a circular type of tent with a solid front door. Military troops on deployment to different areas will live in tents. Refugees fleeing economic, political, natural disasters or other circumstances live in tents. Those attending week-long outdoor festivals such as “Burning Man,” will live in tents. 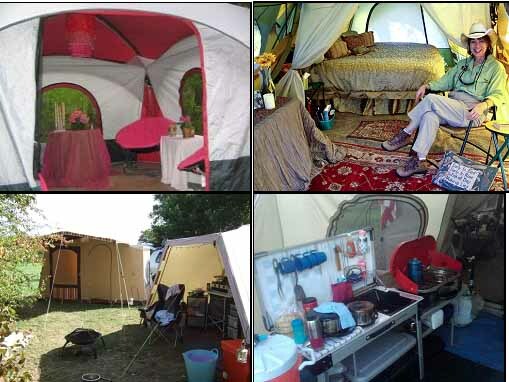 People on retreats and sabbaticals will live in tents. Those building houses in wilderness areas may live in tents during the construction process. Homeless people may live in a tent if they are available. I have lived successfully for weeks in a 7-by-7 foot, four-foot tall tent. I had permission to live on the land where I pitched it. Always make sure the landowner is okay with you being there. Trespassing is against the law; you could go to jail. My choice of tent was basically made by my finances. You can choose the tent you need. You will be surprised, as I was to find out how much “stuff” you really do not need. To begin my sabbatical, I obtained permission to camp on a stretch of land. I will not give the exact location. I do not have the landowner’s permission to do so. I chose the date that I would begin and took everything I owned to the place. It was nearby several businesses; the employees could not see my camp. I was not far from a public library. This would become very important during the sabbatical. Approximately a quarter mile from the library was a grocery store. I could buy what I needed. The beginning of my sabbatical was in January 2013. Choosing the middle of the winter wasn’t all that dumb. The weather here can vary from mild to harsh. I was prepared for almost everything. I pitched my tent and clipped my cat’s leash to one of the tent poles. She could run around in her harness in a 10-foot diameter. She loved it. A single-wide air mattress. I blew this up with my mouth. No, it wasn’t easy, but it can be done with patience. A sleeping bag, blankets, comforter and pillow. My cat’s carrier, water and food dishes along with a small broom and dustpan and her litter scooper. My backpack which was filled with different things. A bag containing toiletries and necessities. A second tent was given to me, but I decided it was too tall (six-feet). I also discovered the door’s zipper was broken. I pitched it, staked down the corners and placed the rest of my belongings inside. I weighed down the rain cover with rocks. It worked fine. Now I was set to begin my sabbatical. I learned several things about myself and the world around me. The second article will discuss water, cooking, shopping and living without refrigeration. Source: The author of this article has over 40 years of experience in diverse subjects and skills such as DIY, home improvement and repair, crafting, designing, and building furniture, outdoor projects, RV’ing and more. When I decided to live in a tent, I also decided to share what I knew and what I learned along the way. Those who live in a tent should always obtain permission from the landowner before attempting it. If you own the land, you can camp on it if your local ordinance or state law permits it. There are a number of ways to maintain your camp. The best is to follow eco-friendly practices. The following tips will help your camp stay pristine so that you do not cause any damage to your surrounding environment. Remove all of your trash daily and place it in a proper receptacle. Never leave a fire to burn itself out. This ludicrous practice has been responsible for numerous campfires over the years. If a fire starts, your tent and belongings will go with it. Choose a place to dump out wash water; always use bio-degradable soap for baths, hair-washing and dishwashing. Remember the old adage: “You pack it in, pack it out.” It should be self-explanatory. Staying clean can seem like a major issue when you live in a tent. If you have a gym membership, a friend’s house you can visit regularly, have a shower at work or school, you pretty much have it made. If not, it’s really not that hard. Heat water in one of your pans. My Sterno stove does just fine heating a quart of water in a blue enamel saucepot. Pour that into a clean bucket and add a little liquid soap and your washcloth. Add just enough cold water to make it the temperature you like. Swish around a little, and wash inside the tent, wringing out the cloth before washing. Frequently dip the cloth into the soapy water and squeeze it out. You can have a separate bucket with warm water and a clean cloth for rinsing, but I’ve found this unnecessary. For washing hair, heat water and pour into another bucket. Lean over and use a cup to get your hair wet. Your goal is to clean your scalp. Use just enough shampoo to get your hair clean, dipping the cup into the water and pouring it slowly over your head while you wash. It takes a little practice. You won’t have a head full of lather unless you want to pour water over your head for quite a while to rinse. You can use a 2-in-1 shampoo/conditioner or use a leave-in conditioner. For ladies, we have to deal with feminine napkins every month. Do not bury these or toilet paper anywhere on the camp ground. Place these items in a trash bag and take it out of the camp daily. If you do not have a toilet, a porta-potty is a great answer. Do not dig a latrine in the campground. There is a porta-potty that uses bags called “doody bags.” You do your business in the bag, close the bag and dispose of it in the trash. It contains gel to take care of liquid and solid waste. If you have leftover food after cooking, put it in a plastic bag and into the trash. Do not dump it on the ground; you will have to deal with bugs and wild animals if any are around. If you have a dog in your camp, prepare to “scoop the poop.” Do not allow your pet to mess anywhere just because you are camping. You will have to deal with flies, stink and bugs. The landowner or campground will ask you to leave. Clean up after your pet. If you have a cat, the same advice goes. Use a box with cat litter and scoop the waste into the trash bag. · Do not leave human or animal food out overnight. · Keep all food in a container that cannot be opened by an animal- a Sterlite storage container with the lid locked in place will do. · Although this has been mentioned before, do not pour food bits out around the camp. This attracts pests and animals as well. Raccoons are not “friendly Disney creatures,” they are incredibly dangerous. · Ensure your pets have their vaccinations up to date. · Do not attempt to track, pet or feed wild animals. · Do not allow your pets to run free or to chase anything. It is not hard to maintain a clean camp, keep yourself and your pet safe and clean. It does take effort; after a few days it will become a habit. I decided to live in a tent during 2013. I learned a lot about living without different luxuries and things we often take for granted. It is a truly different way of life. I will share what I learned with you. Before you begin, make sure you have the permission of the campground or landowner. It is not expensive to live in a tent. If you have a pet or other belongings with you, you will soon discover what you can and cannot live without. You do not need refrigeration for some foods such as peanut butter, honey, most condiments and fresh vegetables. If you have limited space, you can shop for what you need for the day or the week. If you do not have an ice chest which requires frequent additions of ice, you can still have healthy meals. Condiments, peanut butter and honey as well as other foods do not need refrigeration. Only use clean utensils to scoop out such items as relish or mustard. Purchase meat in cans; it will keep for several months. It must be used within a couple of hours of being opened. Fresh meat should be cooked and eaten within a couple of hours. Only cook what you will eat; leftovers will not keep and waste will cost you too much money over time. Some people who live in a tent go to regular jobs during the day and return to their campground in the evening. Others make handcrafts that need storage space until they are sold. I make a living as a freelance writer. I had no electricity in the camp, so I put my laptop in my backpack and carried it to the local public library every day and worked. The library allows customers to use their wi fi without any time limits. Before I had the laptop, I worked on the library’s computers; they have a two-hour time limit every day. I saved the money and ordered it; friends allowed me to use their address and they accepted it for me. Noting some of the panic in my neighborhood after hurricane Hermine, my neighbors and I tried to educate children about living without electricity. It is not as hard as it sounds; millions of people around the world do it every day. The first feeling is one of a mild panic; at sunset the sky and everything turns dark. The first few nights I used a battery-powered lantern. After a few nights, my eyes learned to focus with the available moonlight to move around at night. Of course, with some of my wild neighbors such as raccoons and skunks, I did not go far from my immediate area. The ground was also very uneven; staying on familiar footing was also safer. I used the laptop at the camp every night until the battery went low. I noticed quickly that in colder temperatures the battery would drain faster. I simply used the time I had to work or watch an entertaining program. It should be noted that entertainment is a necessary part of a human being’s life. While I did not go out to movies or restaurants during this time, I still watched favorite television shows on HULU.com and other sites. I love camping. I hate to carry charcoal, firewood and batteries. Many campgrounds are not allowing people to bring in firewood anymore because the practice spreads diseased wood and bugs that are detrimental to the forests. When a burn ban is enacted, barbeque pits with charcoal are sometimes not allowed either. So, what am I supposed to do? Sit in my camp eating cold beans and franks? I won’t. With today’s technology, I am collecting new items for my camping gear. The sun will power my camp, cook my food, heat my water and provide a hot shower. I don’t have to run a generator or carry fuel. All of these items can be found online and in various big box stores. Shop around to find the brand you like the best and obtain the best price. They will also make a great addition to your disaster preparedness supplies or bug-out kit. To have hot water for drinking, washing dishes or cooking, you can heat water over a stove, in a solar oven or by setting a glass jar painted black in the sun. While they are not standard equipment on an RV or car, having them attached could also help you see if you have to step outside at night. For a laptop, more power is needed to charge the batteries. I carry a spare battery for my laptop in case I can’t get to a place I can plug the charger in. While the first battery is charging, I can use the 2nd. This solar panel will charge the laptop battery while I’m fishing, hiking or just having fun. Search, “ SUNPACK 16W Portable / Foldable Solar Charger for Laptops” at Amazon.com. If the moon isn’t out, I need to see where I’m going at night. A solar lantern will light my way. Each model on the market has different charging/lighting times and may provide light for a specific amount of time. I’ll carry two. If one dies down, the other will work fine. I think I’ll find a model that uses both solar and batteries. With rechargeable batteries, I won’t run out of lighting. Several companies offer radios that have solar charging panels, use battery power, AC power or can be charged by turning a hand crank. This will not only provide entertainment, but could come in useful in an emergency. There are models that can charge a cell phone, have flashlights or emergency flashing lights, sirens and more. There is a model for everyone. My new camping gear won’t take up a lot of space. With the sun powering everything, I won’t need to carry batteries, fuel or haul a generator everywhere. My travel trailer will be a little lighter, which means I save on fuel. My backpack will be lighter as well- yippee! [Above Left: Steve Harris Emergency Home Battery Bank. See, www.Battery1234.com This demonstration photograph shows the type of small appliances- personal electronics that can be powered by a deep cycle battery with an inverter. When it comes to camping there are many different ways that you can go about planning out your trip. If you are looking to really benefit from all that nature has to offer then you may want to consider camping with solar power. Solar power also comes in handy when you are at a campsite that does not offer electricity. One of the best ways to add solar power to your next camping trip is to get the right kids of gear. The first step to planning your solar powered camping trip is to stock up on solar powered camping supplies. Once you have all of the solar powered supplies you can then put them to good use. Below are some of the tp solar powered items to add to your camping shopping list. Having solar powered flashlights, can really help when it comes to saving money on batteries for flashlights. A solar powered flashlight that comes with a back up batter will make sure that you stay charged through out the day. What is great about these lights is that they do not require direct sunlight to charge. So you can let them charge during the day, and then get them when you need them at night. The cordless bug zapper just needs to sit in the sun to be recharged. There are mosquito bug zappers, or the all in one bug zapper. Do a simple search on Google and you are sure to turn up plenty of options. Just allow the bug zapper to charge during the day, and let it rest at night. Search Amazon.com for: (mosquito control) “INADAYS InaTrap Electronic Insect Killer and Elegant Night Light” or (fly control) “Fly Web Glue Board 10 Pack”. I camped on a friend’s property in 2013 as a sabbatical. I had permission to be on the property, but my location was near a busy highway and two very busy roads. I was concerned for my personal safety not only during the day, but at night when I slept. When I left the camp every day to go to the library to work, I was concerned for my campground, my cat and my belongings. Maintaining your safety is not a difficult task if you follow some tips. If you make a lot of noise with a CD player, TV, DVD player or musical instruments, you will likely be heard by people passing by. Since a tent has no lock on the door, a nefarious person may begin to watch the area to find out when you leave. On large pieces of land, the owner may not have the ability to keep an eye on you or your tent all the time. Choose your campground wisely; walk beside the property to see if you can spot your campground from the road. If you can, move it to a more secure area. The taller and more brightly colored your tent is, the more chance you have of being spotted. Shorter and smaller is better. To eliminate noise, do not bring musical instruments with you. Use headphones for electronic devices. You might not sleep well the first few nights because of unfamiliar noises. You will get used to hearing the sounds of the area around you and will sleep through the night eventually. I seldom turned on my battery operated lantern at night. I became accustomed to using the available moonlight to move around my camp. After the roads died down and the businesses in the area closed for the evening, I might turn on my laptop and watch a show for a little while. I had the screen turned away from the road and used earphones. Needless to say, I did not go exploring in the area at night. In rural Texas, that’s not a good idea. Critters come out at night; not all of them are friendly and a few have no sense of humor about being stepped on by clumsy humans who can’t see in the dark. I never started a campfire; the smoke and flames would attract attention in the area because a burn ban was in effect. My little Sterno stove flame could not be seen from the road; I had hot coffee, food and bath water every day. If you believe in the power of prayer as I do, pray for your campground’s safety every day. I also had a 15-inch long Maglight in my tent as well as a piece of rebar for self-defense. The heavy metal flashlight can readjust someone’s attitude. Of course, the best protection is non-detection. I did see trespassers on my friend’s property one night; they came near my campground in the night. I was terrified. They came to a point on the trail that dropped off sharply and would have caused them to crash if they had continued; subsequently they turned around and went away. I informed my friend about them; she watched the area as well. Her hired help caught up with them and I did not see them again. A cell phone can be a lifesaver; practice ahead of time to let the police know where you are and how to find you quickly. If you walk or drive to your campground, do not take the same path every day. Most people do not notice a car or truck turning off the road. If you walk, do not call attention to yourself. I was leaving from an area that did not have a house or road close by; most people on the road took no notice of me. When I returned to my camp every day, it was a little after dusk, just as the light was leaving the sky and the night was turning dark. I was never followed. People on the busy street were more concerned about getting to their homes than paying attention to someone walking beside the road. Do not walk around telling everyone you know what you are doing. A well-meaning friend or someone who overhears you could call the police, the health department or other authorities. Although I had permission to be on my friend’s property, someone could have made trouble for her and me because I was living in a tent. Living in a tent can be a rewarding, relaxing experience. Taking care of your security is a daily task that takes a little effort in the beginning; you will develop the habit quickly. While it may not be highly popular and certainly not highly publicized, there are those who choose a lifestyle involving extending tent camping. Basically a choice to live in some type of tent while either traveling or staying put in the tent on somebody’s land for an extended period of time. For some, it may be more of a forced option after foreclosure, eviction or job loss. Yet for others it is very much a conscious choice for whatever personal reasons they may have such as a desire for sustainable living or simply the pleasure of traveling and life on the road. Whatever the case is, there are several things to consider, especially if it will involve full time traveling. Choice of tents will be something to devote a lot of thought on as most nylon tents are really not made to be living in and lack durability. Reinforcing the seams may help aide in a longer lasting tent. The attraction to nylon tents is that they are quite reasonable in price. They are also fairly easy and quick to set up. Rain tarps will also help tremendously in keeping the tent, you and your belongings dry in rainy weather. Of course size is always a consideration as well for it must be able to comfortably sleep the number of people who will be staying in it. 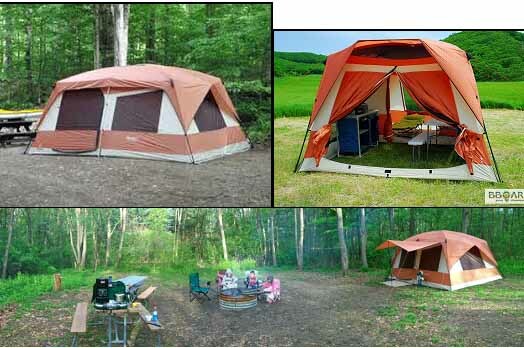 Canvas Wall tents while pricey may be the best choice if you can readily afford them. They are roomy, can have a wood stove fitting on them, extra ventilation windows and were made more durable for miners and hunting campers that typically stayed for lengthy periods of times in them. Of course you will also then have the added expense of purchasing a wood stove, as when traveling you are never sure if you may get caught on a few wintery or just plain cold nights. If you have a car, then most likely you will need to purchase a pull behind trailer to store all your belongings, especially if you have several people in your group or family who will be coming. These typically can run from $300 to $700 for a good used one and again durability is a big consideration in purchasing one. An all metal one would most likely be your best option here as wooden ones can fall apart and will not last near as long. The length you would need would depend on how much you really need to take with you, depending on the number of people that will be with you. Make sure your vehicle will easily be able to haul it without due stress on the engine when going up and down really steep inclines. If you have a suitable Truck, a trailer may not be necessary then. Of course money always must be a top consideration as money makes the world go round and you will need some. You will have to figure out how much you will need a month to cover camping fees, although there are places you can camp for free, you will most likely want some paid camping sites that offer showers, water and other amenities. You will need to consider how much you will need for gas, food, car insurance and perhaps other things like cell phone and mail service. On a low side it may run a family around $600 a month yet on a high side perhaps around $1500 depending on the quality of life you are looking for and the things you typically like to spend money on. Once you get an idea of how much you need a month, then you need to figure out how you plan on acquiring this money to supply your needs. Will it come from money you have saved or will have once you sell everything off if you plan on giving up your residency for life on the road? Will you work along the way or have work you can do on a computer from anywhere? Do you plan on having an emergency fund to cover auto repairs or to get another place to live if you find you do not like life on the road? This may be a wise thing to have in place before you plan on embarking on your journey! If you plan on giving up your residency then downsizing will have to be considered as it will be a MAJOR downsizing undertaking. You will need to sell everything you do not absolutely have to have, sticking to the items you will have to take with you in order to cover your basic needs. This can cause a sense of stress for those who are attached to material possessions yet can be a liberating experience to cross over to sheer simplicity. 4 seasons must be considered when purchasing the things you will need on the road. While you can tend to follow weather when traveling, you cannot always guarantee you will be in pleasant, dry weather. Weather is unpredictable and yet your lack of knowledge of certain areas may catch you in less than desirable weather as well. It is best to be prepared for any weather conditions and purchase items and pack accordingly. It would not be much fun to be in a tent in negative zero weather, with no heat and only short sleeve shirts, not to mention that would be a tad dangerous! Dreams and ideas must be considered as well as they rarely live up to what our mind holds in conjunction with reality. Expect the unexpected and really try to look at the reality aspects of things that could happen. Lengthy rain periods may have you dealing with mold, lack of jobs may leave you financially strapped, broken down vehicles are never a pleasant experience. Wildlife may rampage your food supplies if you are careless or even try to enter and tear up your tent. It will not always be that romanticized image of a perfect life you may see in your mind. Be prepared for the worst but expect the best may be totally appropriate for this endeavor. While extended tent camping may not be for everyone, for those who are considering it, hopefully this will aide you in making some wise choices to get you off to a good start! Have fun and be prepared! H. Would You Live in a Campground? If you wouldn’t live in a campground, why wouldn’t you? I know up until a year or so ago, I could not picture myself living in a campground, but now I see it, and I’m doing it, along with my husband and kids. 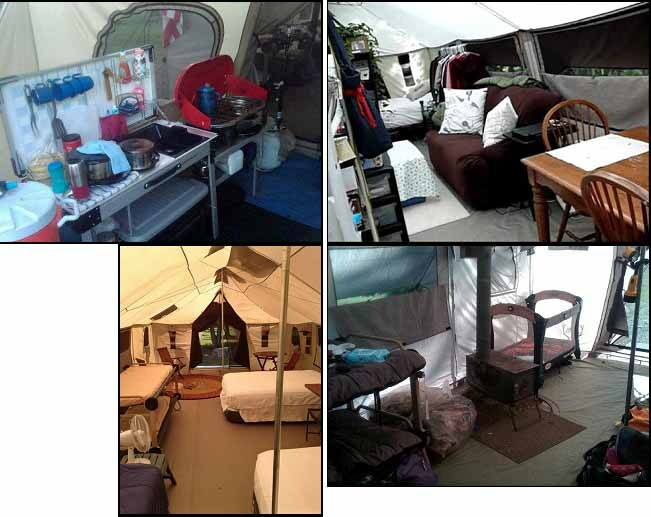 Despite popular belief that camping means pitching a tent and “roughing it”, many campers now days, (AKA RV’ers), live year round in campgrounds across the Country in their RV’s, 5th wheels, and travel trailers. In fact, full time RV’ing has become quite a trend, and many families are now selling their homes, storing their belongings, and taking to the road and living full time in their RV’s. A lot of these families are even working on the road. Many work in campgrounds in exchange for space rental and a little cash. Most campground jobs require 20 hours per week, and the work is easy enough that someone with a mild disability could do the work with little to no trouble. Many who live in campgrounds year round do so just because it is a fairly cheap and easy way of life. Monthly rates in many parks here in Colorado are under $400.00 per month, plus your electric and propane, and phone if you do not have a cell phone. There is no lawn to mow. Your home is small, so repairs will be easy for the most part, and not huge. You can replace an RV roof for about $1000.00, and a day or two work. Try replacing the roof of a house for that price! RV parks, (campgrounds), have full bathrooms with showers. They also have laundry rooms with washers and dryers. There are a few that do not have laundry rooms, but we only found two between Indiana and Colorado that did not have a laundry room. Some RV parks have swimming pools, hot tubs, rec. rooms, playgrounds, and a lot more. RV park/campgrounds are like small communities of people who enjoy living in the RV or 5th wheel. Living in an RV is actually a lot of fun. Many RV’s and 5th wheels are made for full timing now, and are quite spacious. They have slides that can double your space depending on how many the RV has. They are fully furnished, and many of the newer models have fireplaces in the living rooms! Living in an RV park can be just as much fun as living in the RV itself. Depending on the state you choose to live in, and what park you choose, you can have a wildlife wonderland just out your back door. We live in the high mountains in Colorado, and it is a wildlife park right out our door! We have a fox that comes to visit us often, and he is so adorable. There is a momma bear and her baby cub that come and wreak havoc on the trash dumpster up front almost every night, and the deer are in great abundance right out our bedroom window. Our family loves living in an RV park/campground, and not one of us want to live anywhere else right now. We love our RV, it has just enough room for us, and is very cozy and our home. We all look forward to when we can own a Fleetwood Regal 5th wheel, that is our dream RV, and it is a beauty too. Don’t believe me on that one though, you can see for yourself how awesome this rig is, just click here. As you can see, it is a real beautiful home, and is our dream rig! So the next time someone asks you if you would live full time in a campground, you’ll have a whole new picture of what they are talking about, and may even consider it. It’s great!! !